Hello! I am so glad you're here! My name is Polly and I am the creator of the vintage, antique, original artwork, and handmade boutique Paulie Antiques. I'm from a small town in Illinois and I graduated from the University of Illinois at Urbana-Champaign with a Bachelor's of Fine Arts in Costume Design for Theatre. I am a Florist, Costume Designer, Costume Technologist, Fashion Designer, Fashion Stylist, Amateur Photographer, Pressed Flower Enthusiast and a Vintage Picker. I helped organize a fashion show for Paulie Antiques in Spring 2012 where I created 10 pieces of clothing for a runway show! I love making bow ties, painting and pressing hydrangeas, and uncovering old things and the stories they hold. I'm in love with the past, to say the least. My Grandmother Kutch owned an antique store called "Plain Jane's Antiques" that I browsed around in when I was small. My Uncle Jim Boy owned his own antique store called Lindsey's Antiques, and my Great Grandma and Great Grandpa Polly & PJ owned an antique store in the 1950's called, "Don't throw it away, give it to PJ" or "Swap Shop" and they learned the antiquing business from a relative of mine living in California at the time. I love learning about Victorian etiquette and history. If you'd like to know more about my personal fashion style, visit my outfit archive! Feel free to email me at polly@paulieantiques.com! 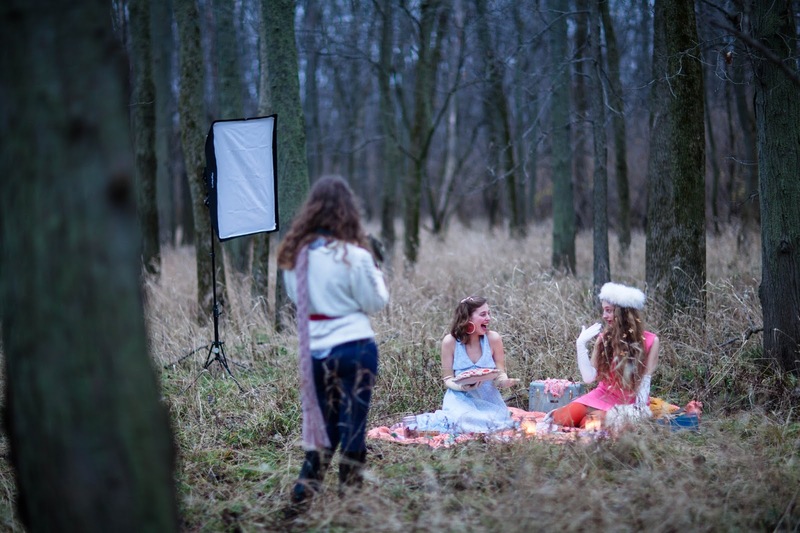 Me behind the scenes of the Paulie Antiques Winter Look Book with Allegra & Elena Wentworth. Photograph by Nathan Adhikari.